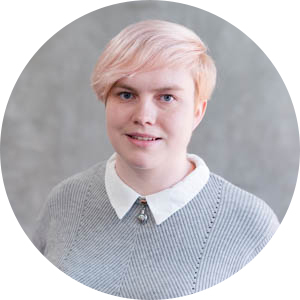 Hey there, I’m Anna your Societies and Development Officer this year! I graduated from MMU with a degree in Mathematics. I was always involved with societies during my time at university and held the role of chair for AniMMU as well as being society council chair; I loved every moment. I cannot wait to work with all society members this year, my door will always be open and I’m so excited to talk to you all about the great things you’ll be getting up to! The Societies and Development Officer is a brand new role for 2018 / 19. They represent societies and student groups to the university, local and national organisations, and lead the promotion of social, cultural, educational, religious and political activities in The Union. The Officer plays a lead role in raising the positive profile of students in the city and will work with student volunteers and campaigners to develop a strong organising culture within the Societies Council. Feel free to get in touch with me via email, Facebook, Twitter or phone, details are here.